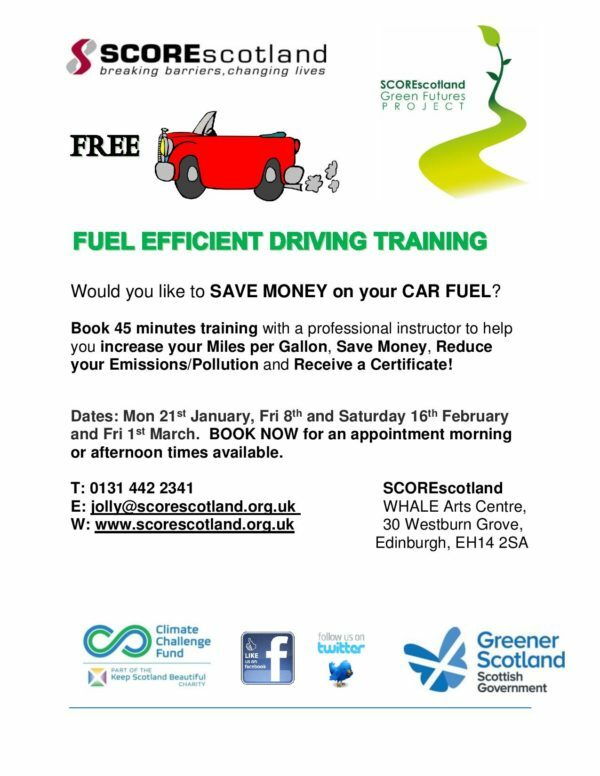 There is still time to book your space on SCOREscotland Green Future’s Fuel Efficient Driving Training sessions, with spaces available in the afternoon on Friday 8 February 2019. Would you like to save money on your car fuel? Book 45 minutes training that will help you save money on your fuel, receive a certificate and help the environment. Please note that a fill manual driving license is required. For more information or to book your space contact SCOREscotland on 0131 442 2341 or jolly@scorescotland.org.uk.